Now that it’s getting closer to summer, our thoughts naturally turn to warmer weather and everything that comes with it — which unfortunately includes sweat. Many people stick to conventional deodorant and antiperspirant because they believe that natural deodorant, with its mild scent and pronounceable ingredients, can’t possibly work effectively enough to keep them dry and odor-free. What people don’t realize is that natural deodorant works with your body chemistry to provide long-lasting odor relief. If you’re curious about natural deodorant, read on. It does pay to know a little bit about the products available today, so you can choose the right one for your body. 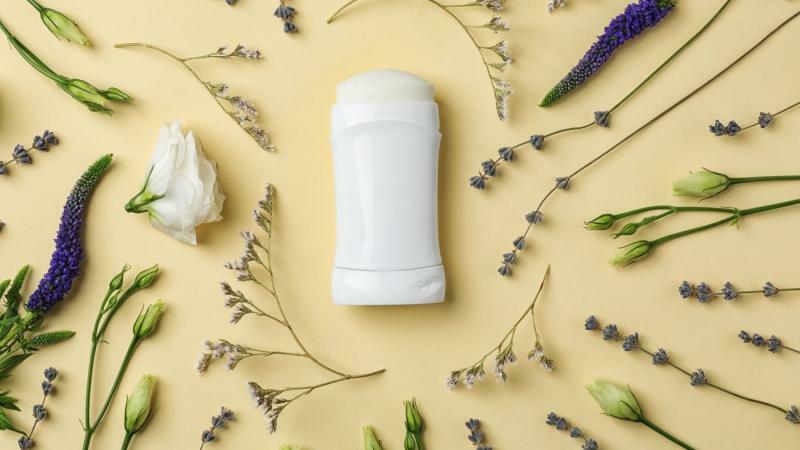 One of the main reasons why many people have switched from conventional to natural deodorant is because the ingredients in deodorant are absorbed into our skin. 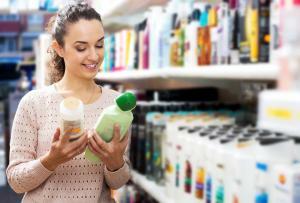 Conventional deodorants are full of parabens, phthalates, and silica, all of which are known toxins. By replacing these toxins with helpful ingredients like charcoal and witch hazel, we can help avoid the potential side effects that could occur after these chemicals are absorbed into our bodies over time. Most people who use conventional deodorants are actually using a combination of deodorant and antiperspirant, which uses aluminum to block sweat. While there are tons of potentially toxic chemicals that function as deodorizers, the worst culprit is the aluminum found in antiperspirant. Another reason it’s worth considering ditching your antiperspirant is that the aluminum actually blocks your pores. This means that the beneficial bacteria on your skin is prevented from doing its job, which is deodorizing our sweat. If you wear antiperspirant on a regular basis and do sweat, it’s likely that the sweat will smell worse. Natural deodorant encourages our bodies to do what they were meant to do. There are a few active ingredients in natural deodorant that work to deodorize sweat or neutralize odor. The most basic are essential oils like citronella and eucalyptus, which many natural deodorant companies use to mask unpleasant odors. However, essential oils will only cover odors after they’ve occurred, so they may not be ideal for heavy sweaters. Some other natural deodorants use a base of baking soda, which sits on top of the skin and neutralizes odor almost immediately after it occurs. It works because baking soda counteracts the bacteria that causes smelly pits. Many people find that baking soda deodorants are as effective as conventional deodorants. However, their efficacy does have some side effects. For people with sensitive skin, baking soda can be an irritant and cause unpleasant under-arm rashes. Another popular active ingredient in natural deodorants is charcoal, which both absorbs water and neutralizes odor. In fact, charcoal can absorb more than a thousand times its own weight in moisture, which makes it a great ingredient to look for if you’re transitioning from conventional deodorant and still want some antiperspirant benefits. What’s the Best Natural Deodorant for You? Unlike conventional deodorant, which comes in either a roll-on stick or solid stick, natural deodorant comes in a variety of different formats. It’s worth experimenting with a few before you settle on your favorite. Everyone’s body is different and different deodorants can be more or less effective depending on your body chemistry. Companies like Arm & Hammer and Tom’s of Maine are the two main manufacturers of stick deodorant, which tends to be a bit less expensive than other products. Stick deodorants are built on a base of natural oils like coconut and soybean and can include active ingredients such as baking soda or charcoal. If you make the choice to switch to natural deodorant, there are lots of decisions to make- charcoal or baking soda? Stick, cream, or spray? What’s most important is that you find a product that works for you. Some people find that the first few weeks on natural deodorant are awkward since they’re not used to sweating that much and may feel self-conscious about their natural odor. If that happens to you, just stick with it! Some people find that reapplying their new deodorant during the day can help, as does cleaning the armpits with a gentle, natural soap. 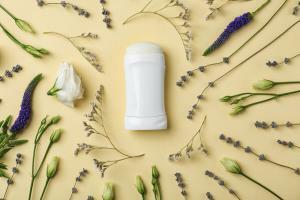 Soon, you’ll be chemical-free and loving your new natural deodorant.